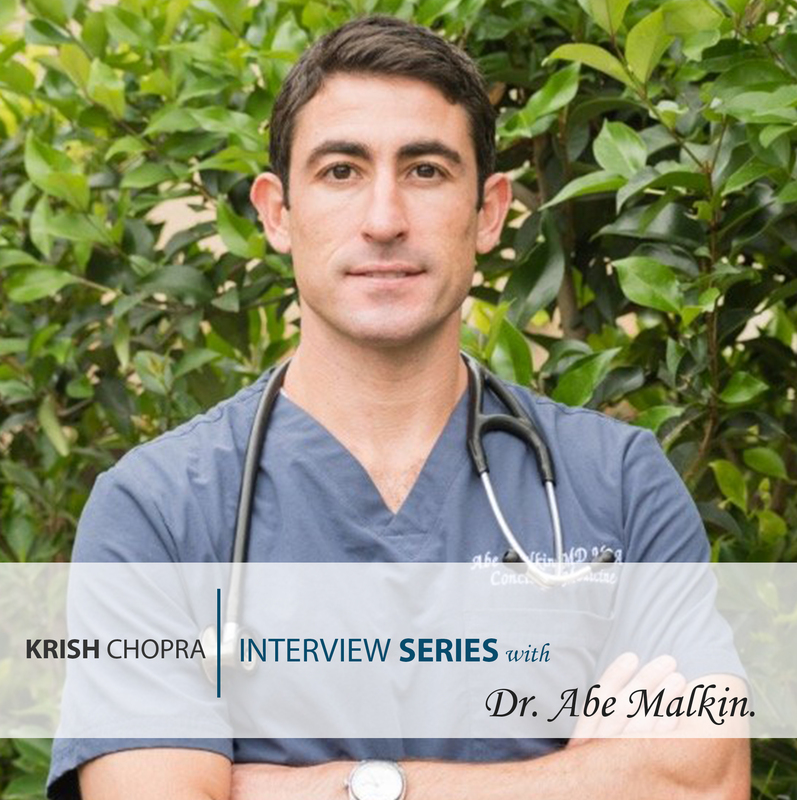 As a part of my interview series with prominent medical professionals about “How To Grow Your Private Practice” I had the pleasure of interviewing Dr. Abe Malkin. 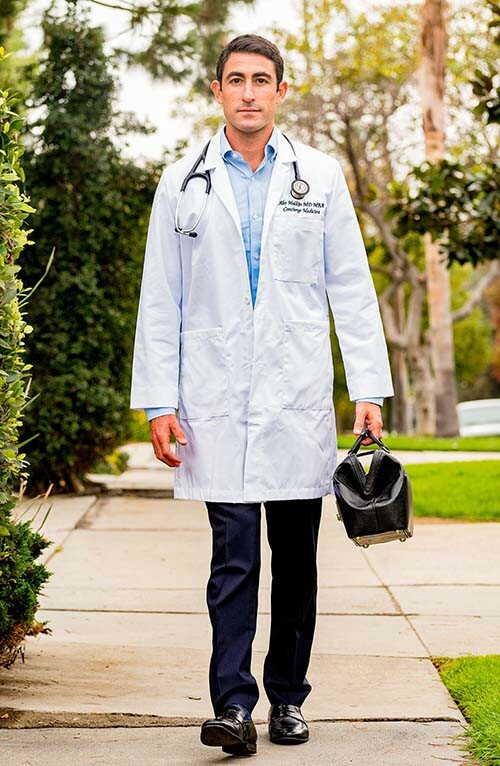 Dr. Abe Malkin is the Founder and Medical Director of Concierge MD LA. He received his undergraduate degree at Yeshiva University in NYC and then earned his combined MD/MBA degree from a joint program at Tufts University School of Medicine and Brandies University Heller School of Business. He then completed his Family Medicine Residency training at Kaiser Permanente in Los Angeles. Dr. Malkin is board certified in Family Medicine and an active member of the American Board of Family Medicine. He is also the Founder and Medical Director of Drip Hydration, a mobile IV Hydration company. He serves as the Medical Director for Axiom Health, a Physical Medicine and Wellness practice. He is also active in the area of addiction medicine, serving as the medical director for The View Detox Center and Elite Home Detox. Can you tell our readers a bit about your ‘backstory”? I grew up in Los Angeles. Went to college in NYC. After college, I started working in finance at Goldman Sachs. 3 years later, after the financial crisis, I decided to go back to school for a joint MD/MBA degree at Tufts University. I then went on to complete a Family Medicine residency at Kaiser. After graduating, I worked per-diem for several different medical clinics before eventually setting up my own on-demand concierge medical practice in Los Angeles, called Concierge MD LA. I also created an on-demand IV Hydration company called Drip Hydration, that services patients throughout California. What made you want to start your own practice? I like being able to spend more time with my patients and deliver personalized and cutting edge medical care that is convenient for both me and my patients. Additionally, having a business bacground with my prior work in finance and my MBA, I wanted the challenge of not only practicing medicine but also of growing a business. Managing being a provider and a business owner can often be exhausting. Can you elaborate on how you manage both roles? I have made a conscious decision to start with a small practice with low overhead, being that it is a mobile practice without an office. This allows me to to spend more time with my patients and less time on the administrative side of the business. I also utilize a virtual assistant who is extremely important in managing the day to day needs of my patients. From a business development standpoint, I am constantly thinking about new ways of making my practice more attractive to patients by expanding our service offerings. As a business owner, how do you know when to stop working IN your business (maybe see a full patient load) and shift to working ON your business? I am always working ON my business. Whether it means expanding my service line to new products or services, or networking with potential partners or patients, I am always looking to further develop the practice into the most unique and modern medical practice available. From completing your degree to opening a clinic and becoming a business owner, the path was obviously full of many hurdles. How did you build up resilience to rebound from failures? Is there a specific hurdle that sticks out to you? Prior to starting my own practice, I worked per-diem for other medical companies, while building up my knowledge and skillset. Making the decision to go off on my own, and leave behind the stability and consistency of a job with a bigger company was definitely challenging at first. I had to really believe in myself and recognize that the risk of starting my own company was worth the reward. Having seen my entire team at Goldman Sachs get laid off during the financial crisis, I have seen the perspective of having it all and then losing it. This helps me face the challenge of taking a risk in starting a business from ground up. What are your “5 Things You Need To Know To Grow Your Private Practice” and Why? You need to have superb clinical skills — when you’re on your own you may not have anyone else to ask for clinical questions, so you have to be sure of your skills and knowledge when taking care of patients, especially in the world of concierge medicine, where patients expect a higher level of care to justify the higher costs. You need to have a good support staff — dealing with the administrative side of medicine is not what most doctors are good at, so its important to have a strong staff that can handle those aspects, so that you can focus on taking care of patients. I have complete trust in my staff to execute so that I can focus on the aspects of the business that require my attention and let them handle the rest. You need to stay up to date on new trends in medicine — private practice is competitive so its important to stay up to date on current trends and advancements in medical care. For example, I recently added functional medicine to my services because I saw a growing demand to alternative integrative medical care. You need to know how to market yourself — you have to get your name out in the community and in front of patients, whether through digital ads, online platforms, conferences etc. its very important to be creative about marketing your practice. You need to make sure your online reputation is pristine — I make a point to encourage patient to provide reviews on platforms like yelp and google and I solicit private feedback from patients on areas of improvement so that I am constantly evolving and improving. Many healthcare professionals struggle with the idea of “monetization”. How did you overcome that mental block? Often physicians feel as though monetizing their practice in some way violates the morality of what they do. I understand the value of the service I provide and I convey that to my patients, so they feel they are getting their money’s worth for my service. What do you do when you feel unfocused or overwhelmed? It’s important for me to have something that provides stability in my day to help keep me centered and focused. For me that is exercise. Knowing that no matter what is going on in my day or life I will take an hour to run or go to the gym is really important for helping me take on each days challenges. None of us are able to achieve success without some help along the way. Who has been your biggest mentor? What was the most valuable lesson you learned from them? My most impactful mentor was the chief surgeon at the hospital where I did my surgery rotation in medical school. The surgery rotation is one of the hardest rotations in medical school. It requires waking up very early, often before 4am, studying incessantly and often doing “grunt work” to show your commitment and earn an Honors grade. The chief surgeon, who was in charge of the rotation, noticed I was having a tough time keeping up, and rather than come down hard on me, met with me on a regular basis and helped me study and retain the information. I can remember his attitude that failure was not an option, and I still call him to this day when I need advice or guidance. What resources did you use (Blogs, webinars, conferences, coaching, etc.) that helped jumpstart you in the beginning of your business? What’s the worst piece of advice or recommendation you’ve ever received? Can you share a story about that? When I worked in finance, I had a manager who always tried to teach me lessons about winning and losing. His view of the world was that it was a zero sum game and that someone had to lose for him to win. I guess that was the culture on Wall Street at the time. Since then I’ve learned that in business, sharing and collaborating with people is far more effective that trying to always compete. It has definitely help me progress in my career. Please recommend one book that’s made the biggest impact on you? I read the classic book “How to Win Friends and Influence People” and it taught me the value of being respectful and complimentary to everyone I meet and never underestimating people. For other incredible interviews, please check out our podcast: Healthcare Heroes. A special thanks to Dr. Malkin again! The purpose of this interview series is to highlight the entrepreneurs, innovators, advocates, and providers inside Healthcare. Our hope is to inspire future healthcare providers on the incredible careers that are possible! Stay in the loop — Follow NPHub to get the latest updates when we post new interviews: Facebook, Instagram. Krish Chopra is the founder of NPHub. He believes in two truths: everything is a learnable skill and real leadership involves caring for others. Krish’s mission is to better support underserved communities and he and his team are currently serving the nursing industry so students have more resources to graduate on-time. He’s also contributes to major publications such as Forbes, Fast Company, and Inc., and has been featured in a dozen more.